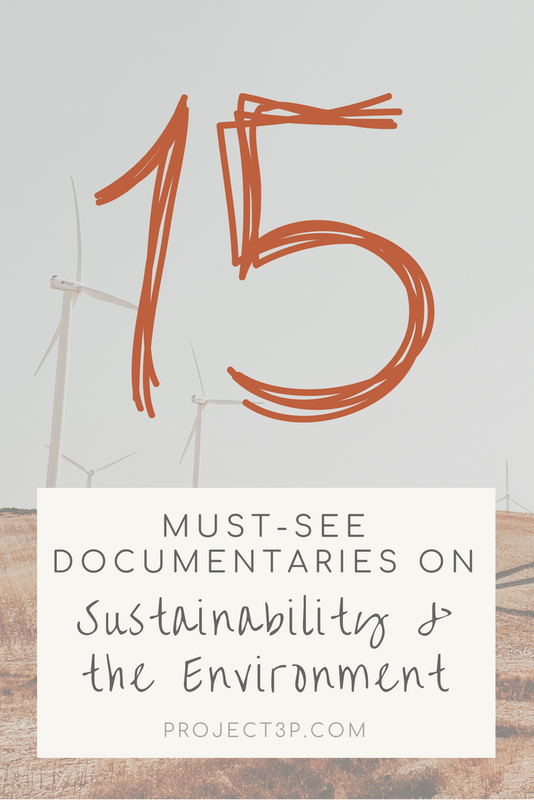 Documentaries are my favourite way to learn about global environmental issues and educate myself on sustainability areas I may not already have knowledge in. To be honest, there's nothing more I enjoy than cozying up in bed to watch an environmental documentary - it's how I spend most of my Friday nights these days. So, if you’re not into endlessly researching different problems and want to learn the basics of a new topic, documentaries are a great place to start. Below is a list of some of my all time favourites and some of the most critical issues we should all know about. So make a whole night out of it, grab a block of fair trade chocolate and a bottle of organic wine, and get comfortable. The Cove was one of the first documentaries I ever watched, and it is still definitely one of the most shocking. This documentary takes us to a small fishing town in Japan, to expose a gruesome secret – the capture and slaughter of dolphins. Activist Ric O'Barry, a former dolphin trainer for the hit TV series, Flipper, joins forces with the Ocean Preservation Society to reveals the brutal practice of animal abuse and the serious impacts on human health. I would grab a box of forest friendly tissues for this one. Blackfish explores the tragic story of Tilikum, a performing killer whale held by SeaWorld, who was responsible for the death of three individuals, including a respected trainer. This documentary shows the issues associated with animal entertainment in the marine park industry and the consequences of keeping such intelligent and highly emotional creatures in captivity. This is easily one of my favourite documentaries and for a long time, I was like “Ah SeaWorld, I hate you!”. But as I’ve become more open minded, I’ve realised SeaWorld actually plays a really important role in marine conservation –at least here in Australia. So, keep in mind, animal entertainment is the key issue here, not the whole of the SeaWorld organisation. James Bolog, a National Geographic photographer, was once a climate change sceptic. But by taking part in an Extreme Ice Survey, Bolog and a team of researches were able to document the undeniable evidence of our planet’s changing climate. By using time-lapse cameras across the Arctic, Chasing Ice captures a multi-year record of the world’s melting glaciers. Photography, environmental education and climate change all in one. A Plastic Ocean isn’t only eye opening but also relevant and relatable. Plastic Ocean is an adventure documentary shot on more than 20 locations over the past 4 years. Explorers Craig Leeson and Tanya Streeter and a team of international scientists reveal the causes and consequences of plastic pollution It explores the fragile state of the ocean, uncovering the truth about our irresponsible use of plastic and the harm it poses to marine species as well as the detrimental effects on human health. An Inconvenient Truth follows former United States Vice President, Al Gore, on a lecture tour to raise public awareness of the irreversible effects of climate change. Exploring the causes, effects, history and potential solutions, An Inconvenient Truth presents a wide range of facts and information that will leave you feeling overwhelmed, but extremely motivated. An Inconvenient Sequel: Truth to Power, was also released mid-2017, continuing Al Gore’s journey with climate change, but this time, persuading global governmental leaders to invest in renewable energy. Chasing Coral follows a team of divers, photographers and marine scientists on a trip to document visual evidence of the disappearance of the world's coral reefs. Filmed over three years, with over 500 hours of underwater footage from 30 countries, Chasing Coral explores the impacts of coral bleaching as a result of rising sea temperatures. No Impact Man tells the story of author, Colin Beavan, and his family, who spent an entire year trying to live while making no net environmental impact. They completely transition into a green and zero waste lifestyle – giving up all the comforts of modern living in their New York apartment. This documentary was my first encounter with low impact/zero waste living and if you’re new to the concept, this is a great place to start. Its super light hearted, funny and doesn’t bombard you with endless facts and information about waste and plastic pollution. BLUE is an Australian marine conservation film that showcases the crisis our oceans are facing. From overfishing and declining marine populations, to the destruction of habitats and our war with plastic pollution. This documentary hits close to home for me and makes me cry every time I watch it. What I loved most about BLUE, was the fact it highlighted the importance of creating sustainable fisheries and oceans for future generations and for those who depend heavily on the fish populations for their livelihood – instead of telling viewers to just simply stop eating seafood. It also has a number of calls to action at the end of the film, to encourage consumers to make more conscious decisions when shopping for food and products. Vanishing of the Bees is a documentary focusing on the sudden disappearance of Honey Bees from beehives around the world, caused by the poorly understood phenomenon known as Colony Collapse Disorder. It also highlights the impacts of decline populations on the farming industry and the importance of bees for our overall environmental quality. To start to understand the complexity and crucial role Honey Bees play in our ecosystem and our food production, Vanishing of the Bees should be added to your to-watch list right now. Sightly different to your hour and a half long documentary, “the Story of Stuff” is a 20 minute, fast-paced, fact-filled animated project about our production and consumption patterns. It takes a look at the lifecycle of material goods and the way we make, use and throw away all the “Stuff” in our lives. Although the documentary Minimalism, doesn’t primarily focus on sustainability. The concept of minimalism tends to be at the basis of sustainable and conscious living. This documentary is about eliminating, decluttering and letting go of all things we don’t need, so we can make room for what’s important. We live in a society based on consumption and according to the Minimalists, Ryan and Josh, in order to live a minimal and meaningful life, we must live with less. Although I wasn’t a huge fan of the overall vibe of the documentary, I think it highlights some really important points. Cowspiracy explores the impact of animal agriculture on the environment and looks at several key linking concerns, including climate change, water usage and deforestation. It’s overall message is that the agriculture is one of our most pressing environmental issues and by incorporating vegan options into our diets, we can make significant positive and sustainable changes to our environment. Before the Flood is a National Geographic documentary, featuring Leonardo DiCaprio. It investigates the consequences of climate change and follows Leo as he travels around the world to investigates the consequences of climate change, and to learn more about the ways to prevent further catastrophic damage that could make our planet completely unsustainable for human life. The True Cost focusses on the social and environmental impacts of the fast fashion industry. It gives viewers an insight into the honest look at the “true costs” of our clothing and garments. It is truly eye-opening, seriously scary and will completely change the way you look at your wardrobe.